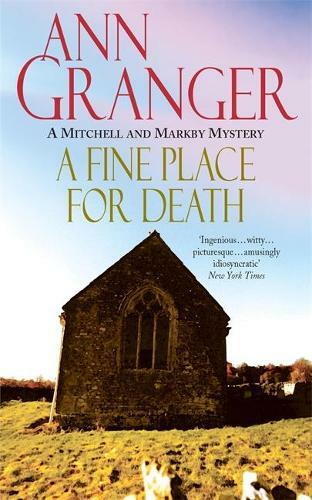 Meredith Mitchell and Chief Inspector Markby probe troubled family relationships to find a killer in A Fine Place for Death, the compelling sixth mystery in Ann Granger's Mitchell & Markby series. The perfect read for fans of Kathy Cranston, Agatha Christie and ITV's Midsomer Murders. In the heart of the leafy Cotswolds a body is found. A teenage girl, probably local, somebody's daughter who went out one evening and didn't come back. It is not long before she is identified: fifteen-year-old Lynne Wills who habitually drank underage in 'The Silver Bells' pub and, on the night of her death, was seen leaving with an unknown man. Chief Inspector Markby's friend Meredith Mitchell has been befriended by another troubled young local girl, Katie Conway. On the surface Lynne and Katie have nothing in common except their age and home town. But could the insights Katie gives Meredith into her difficult family background - an unstable, aristocratic mother, a doting father at the end of his tether, and a scheming resident secretary - throw some light on the other young girl? And, given that forensic evidence now points to Lynne Wills's murder having taken place in the Devaux family mausoleum, on her murder too ...?